In 2007 we established our business in Southwestern Virginia, and pride ourselves on providing customers with personal service. 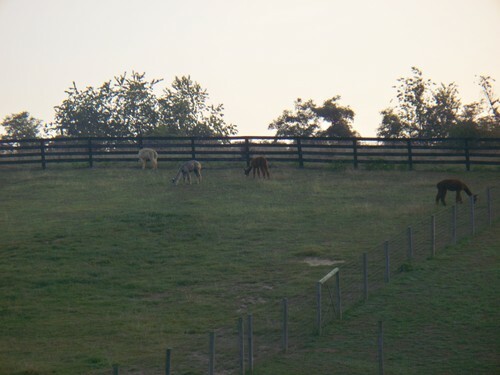 Our farm is conveniently located in South west Virginia near the North Carolina and Tennessee borders. 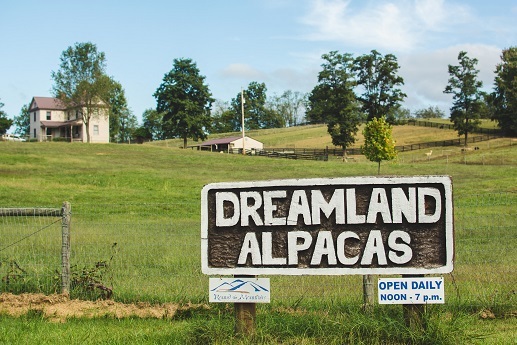 We are located just 2 miles off Interstate 81 at exit 24. 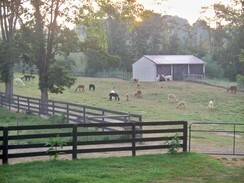 We have from fiber quality to show quality Alpacas on our farm for the varied Interest in Alpacas. We will work with you every step of the way to help assure your success in the alpaca business. Our goal is to remain client-oriented, and providing good service which means taking the time to listen. 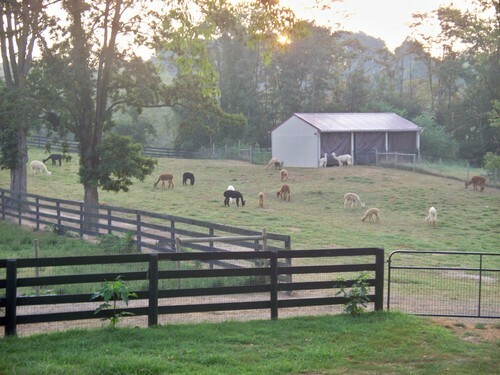 Our Alpacas eat between 1 and 2 cups of Southern States Alpaca feed a day and have free choice orchard grass hay. as well as the pastures to graze on. How hard are Alpacas to care for? We consider the care for our Alpacas to be like taking care of a large dog. How big do Alpacas get? Alpacas grow to about 36" at the front shoulders and weigh between 150 and 200 lbs. 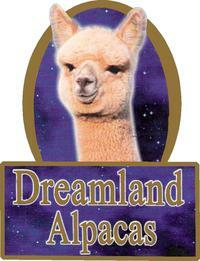 No ....we do not eat our Alpacas ! How much Fiber do you get off of 1 Alpaca? Between 6 and 12 lbs depending on the age and density. What do you do with the fiber? We have several options for our fiber . A. We send most out to a mini mill and have it processed into yarn,roving or just have it washed and picked. B. We send some to a co-op and can then order finished products for resale like socks,hats and gloves. C. We send some out to be made into rug yarn. D. We also sell some fiber right after it has been shorn to people who spin their own yarn. We take pride in being able to offer a quality alpaca at a reasonable price. Our breeding services include routine maintenance and board for your dam and if needed her accompanying cria.